I am using D-LINK DSL-2750U Router for three years now and never had any issue. Today, I had to reset it for some reasons and then I had tough time to configure it again for my Docomo wired broadband. I searched for settings on multiple forums and somehow they didn't worked. I called their toll free support number 1800-266-1515 to get technical assistance, they logged my complaint which was not possible to resolve before next working day. With some help from Internet and little bit of trial and error I managed to make it work. I thought to share the configuration parameters which worked for me. 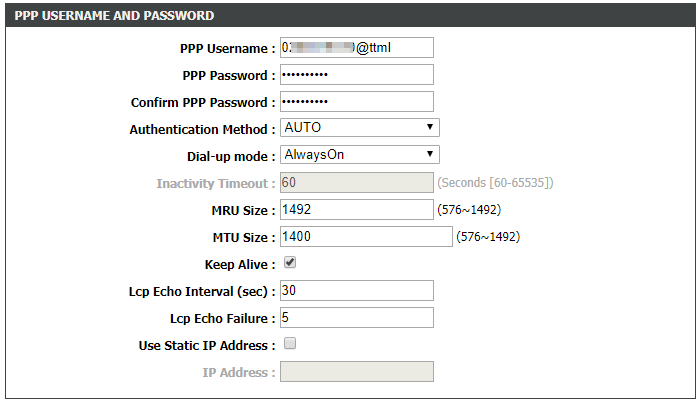 Step 1: Login to your router with default credentials - admin/admin if you have just reset it. Step 3: You will some default values in the setup form. We need to update only some of them. PPP Password is your Docomo account number. Leave other parameters as it is and apply the changes. After applying wait for 30-40 seconds. Your connection should start working.